Here we are with yet another destination for all your corporate and social events! 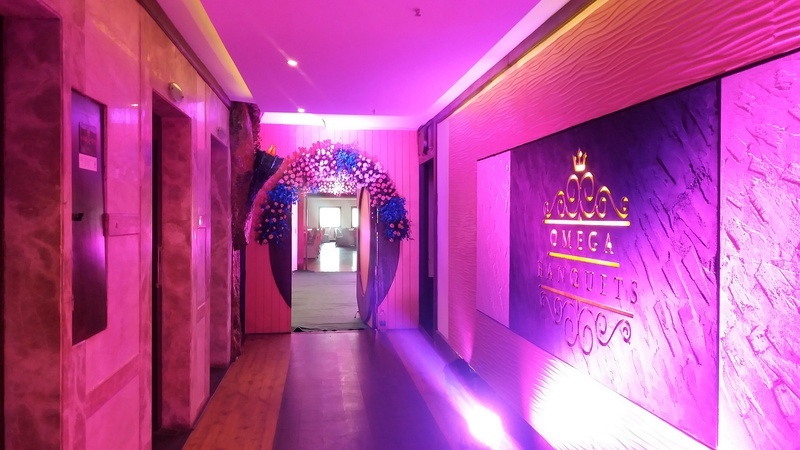 Located in Chembur East, Omega Banquets, Chembur, Mumbai, is a favourite venue that enjoys a strategic location and is the most spacious one in the vicinity. Elegantly designed banquet halls are endowed with bright light flooding in through the decorative ceiling. The Royal banquet hall has the capacity to accommodate 600 - 2000 guests and is perfect for a lavish wedding party, where you need not limit yourself while inviting the guests. With a mid-sized capacity of 200 – 450 Pax, Elegance Hall is perfect for intimate functions that have a limited guests list. Not only for weddings, Omega Banquet is the most sought after banquet halls in Chembur is also suitable for treating your guests on birthdays and anniversaries as it has Classic hall for small gatherings with a capacity of 60 – 200 Pax. To ease your task, the venue allows you to get alcohol from your personal favorite shops, so that you have the best of brands and that too at the best deals. Coming to the food and catering services, they have the best in store. The caterers here have been in the industry for more than a decade now. Hence, your guests will be in for some lip-smacking delicacies..
Décor plays an important role in your wedding and Omega Banquets have that too sorted for you! Be it a traditional theme, a contemporary one or a simple backdrop their dexterity will surely leave you awe-struck! The parking is at the basement and can accommodate as many as 200 vehicles. This ensures complete safety of your cars and you will be rest assured of the fact that your vehicle is not parked anywhere unsafe. Adding to their services, Omega Banquets, offers 50 complimentary valet services for large events and 25 for smaller ones. So..your search for the perfect venue in Chembur ends here. Book Now!